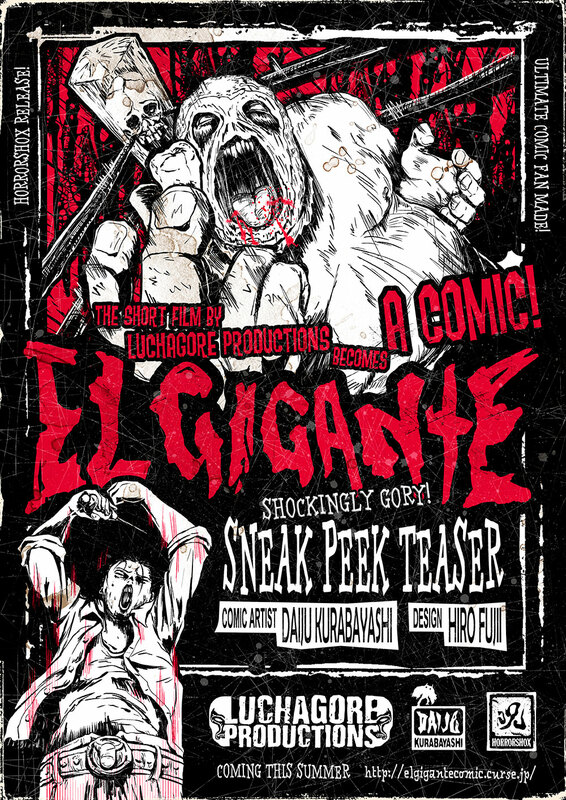 "El Gigante", the short film based on Shane McKenzie’s novel Muerte Con Carne, has been a massive hit for Luchagore Productions, playing in festivals worldwide and receiving insane critical acclaim. 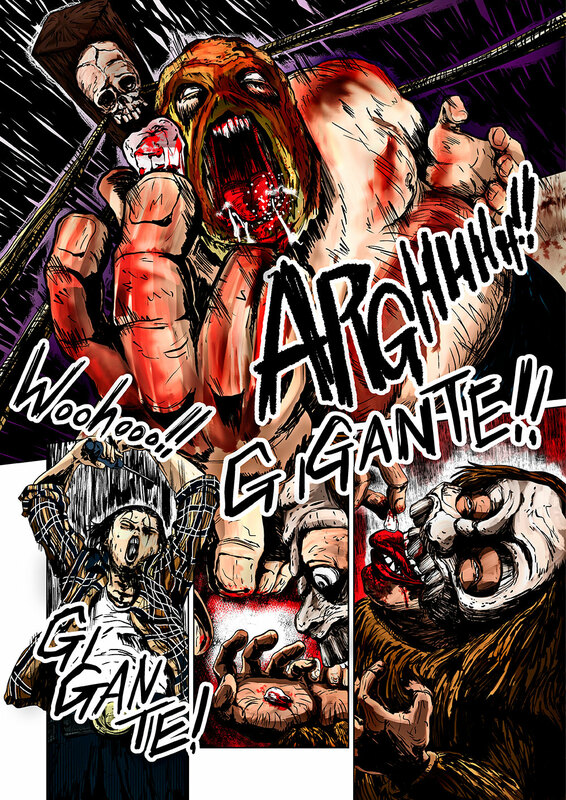 We are pleased to announce that the famous short film has now been turned into a graphic novel by the extremely talented team of Hiro Fujii and Daiju Kurabayashi from Japan! The vibrant colors and eye-popping visuals of the comic perfectly capture the tone of the film, and this is sure to be a huge hit with fans of the story. The BLOOD and GORE ooze from the pages, and will leave the reader feeling dirty and filthy, yet satisfied! 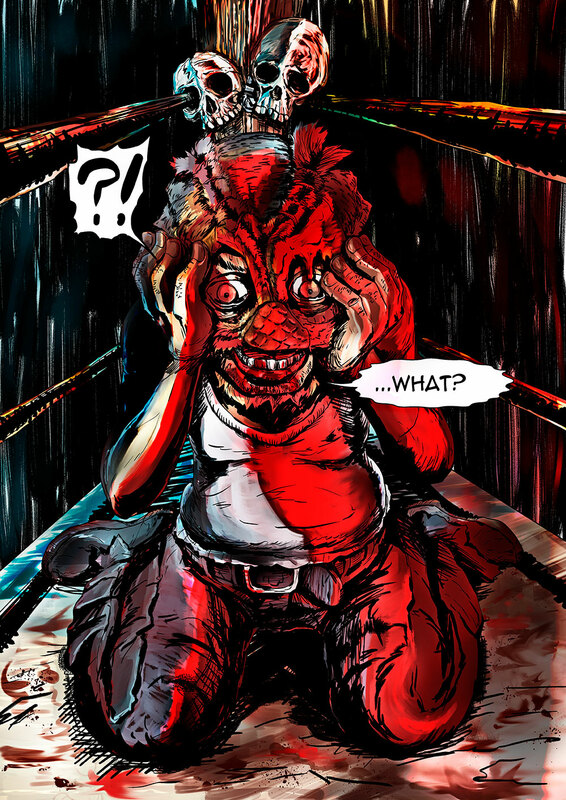 Check out a sample of the artwork below and then you can visit this link for a further sneak peek.